Participants were made familiar with basic First Aid, including planning and creating a first aid kit, recognizing and treating some injuries, and learning the steps to take when faced with an emergency. 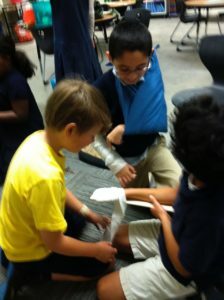 Kids did needs assessments, learned first aid skills to treat cuts, scrapes, minor burns, nosebleeds, insect and snakebites, and how to respond to someone who is choking, unconscious or has a broken bone. 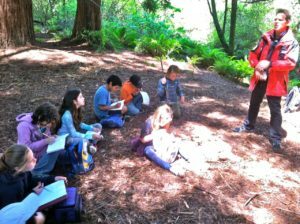 Kids also learned basic wilderness safety and first aid from wilderness leaders during which they hiked into a local park. 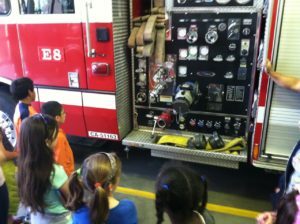 They visited Oakland Fire Station #8, getting extensive information from firefighters about fire safety, prevention and burn care. Most importantly, kids learned when and how to call for help!